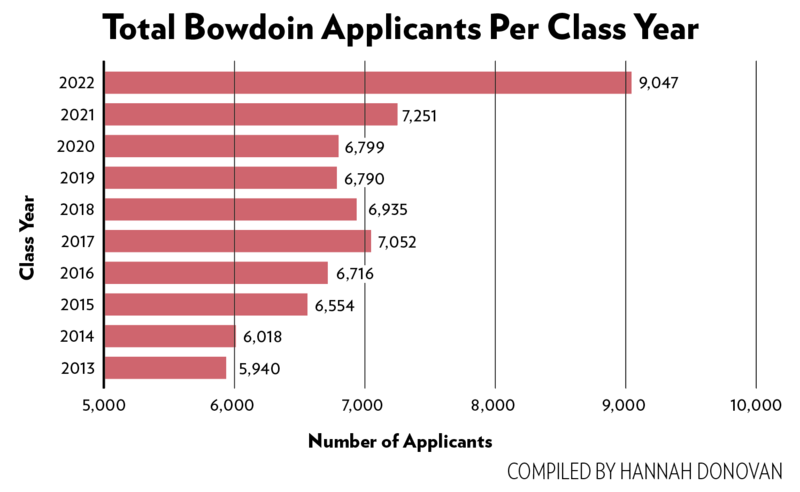 ON THE RISE Over 9,000 students applied to Bowdoin for the class of 2022, an all-time high. Admissions decisions will be released in the spring. The College received 9,047 applications for the class of 2022, up from 7,251 from last year. It was an increase of roughly 25 percent and the highest raw number since admissions data became available in 1989. The applications came from students at 4,383 different high schools, compared to 3,548 total high schools last year. The Office of Admissions said last November that the College had received 743 applications for early decision I, which had a deadline of November 15. Applications were due on January 1 for early decision II and regular decision. In recent years, the College has enrolled between 41 and 43 percent of its entering class through the two early decision phases, which represent binding contracts, meaning that accepted students are expected to enroll and withdraw their applications from other institutions. Bowdoin was not the only NESCAC school to witness an uptick in applicants this year. 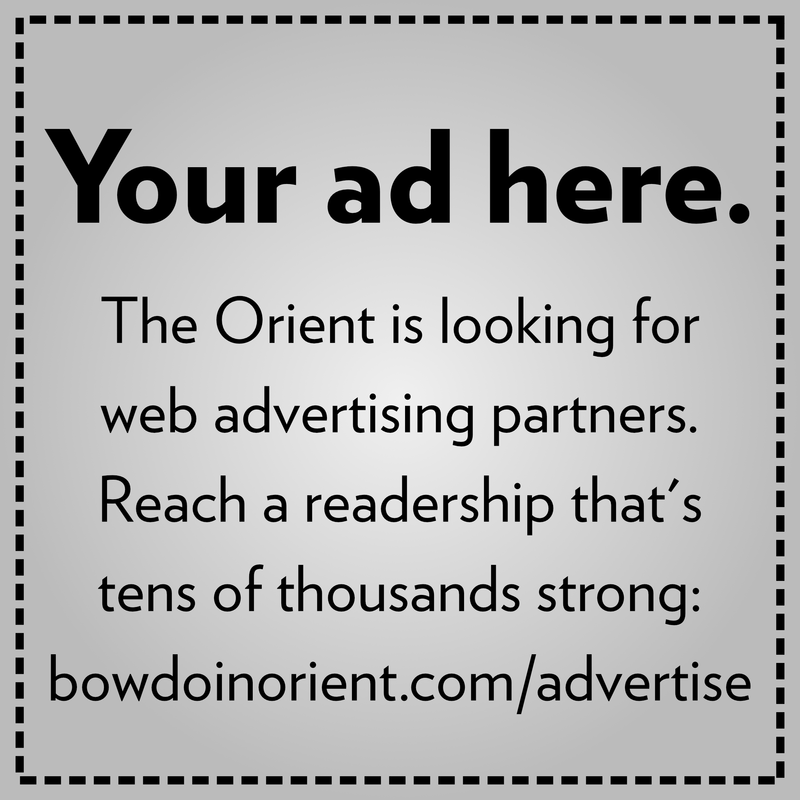 Middlebury received 9,230 applications compared to 8,109 the previous year. The College set a record low in terms of admissions rate last year when it accepted just 13.6 percent of total applicants. Early decision II results will be released in the middle of February, while regular decision results will come out in late March or early April.